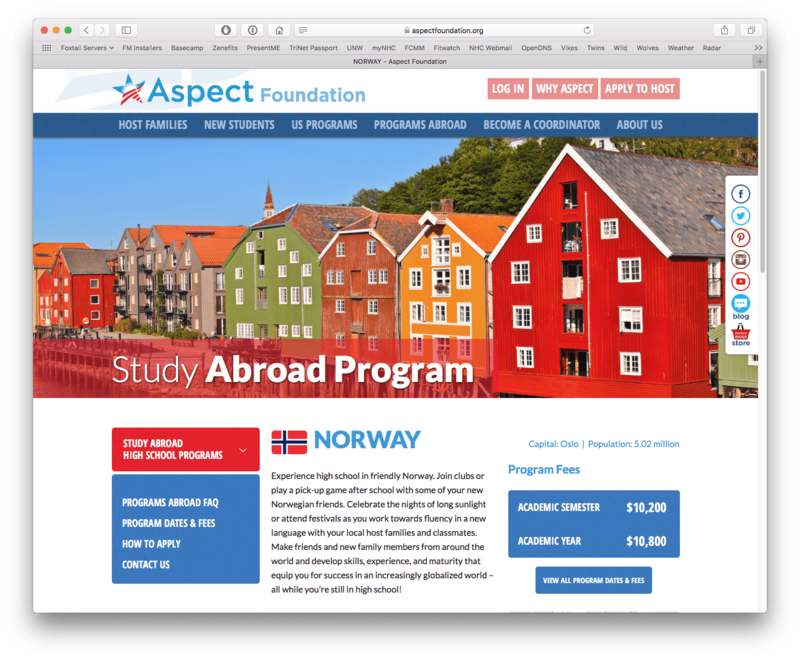 Aspect Foundation is an international high school student exchange program that provides outstanding educational and cultural exchange experiences for students around the world. Students from abroad are placed with a host family and in a high school. They are supervised by a local coordinator and a regional manager. These affordable study-abroad opportunities allow students to make lasting connections and experience new cultures in a meaningful way. 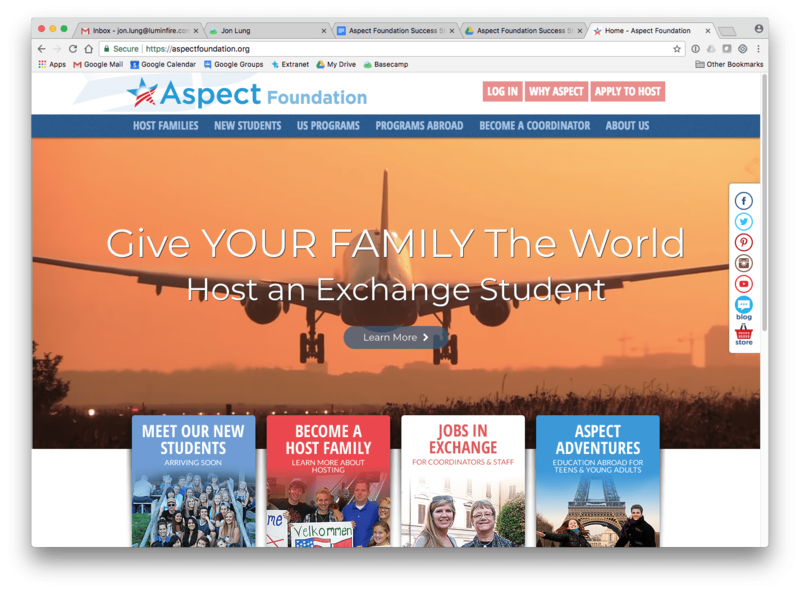 Aspect Foundation uses its web site to share and exchange information with students and their host families. This includes contacts, placements, flight schedules, and materials. Through the website, you can also submit applications and fill out surveys. On the back end, Aspect uses FileMaker Pro to manage quick access to information in the office, produce reports, and rapidly change the solution as needed for changing business requirements. 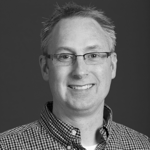 Aspect had been using FileMaker for many years, but became frustrated with their former technology partner who was not capable of fixing issues they had created. LuminFire was immediately responsive to their needs. Even though LuminFire is located in Minneapolis Minnesota (Aspect is in San Francisco, California – over 2,000 miles away), we were able to complete all the work remotely. Initially, we met in person to help build a solid trusted relationship. One of the first things LuminFire noticed was that their server was running a severely outdated operating system with questionable backups in a co-located hosting environment. To make matters worse, they did not have contact information for support, should any issues arise. We were able to move the FileMaker databases to a modern, reliable cloud-based server that gave us much more flexibility and control, while improving overall performance. LuminFire upgraded Aspect to the latest version of FileMaker for increased stability, speed, and to take advantage of new features, like the new Data API. Once complete, the legacy web site could also be hosted on a more reliable server and kept running on modern architecture, while a rewrite of the legacy code is underway. Security is a big concern for any organization that handles personally identifiable information about customers. Aspect is no exception, as it collects details like passport numbers, photos, and health information on students. LuminFire used fmFlare to move all document storage to Amazon’s Simple Storage Service (S3). S3 allows documents to be accessed only by logged in users that should be able to see them using Urls that are dynamically generated and that expire by the time an unauthorized user might ever find them. Another major enhancement LuminFire implemented was adding integration with Twilio with fmFlare for sending and receiving SMS (text) messages in FileMaker Pro using the new FileMaker Data API introduced in FileMaker 16. The FileMaker Data API allows web services, such as Twilio, to create/read/update/delete data in a hosted FileMaker database through HTTP requests. The listener app that LuminFire created updates FileMaker to reflect the status of SMS messages sent and adds replies from recipients to their record in the database. Aspect uses the technology for reminders, such as sending flight arrival times of students to host families and confirming they will be there to pick their student up. Additionally, Aspect uses BrilliantSync to sync a number of surveys that users can fill out on Aspect’s WordPress site to FileMaker where staff members can review the submissions to gain valuable information. BrilliantSync also played a key role in the rewrite of Aspect’s legacy PHP CWP (Custom Web Publishing) sites, without requiring a live dependency on FileMaker. LuminFire’s previous experience with similar foreign exchange programs, schools, non-profits, and travel companies proved extremely valuable in identifying needs and implementing solutions that provide quick return on investment (ROI). If your business has a FileMaker app or web site that needs to be taken to the next level, we can help make that happen. From simple form submission, to full multi-table sync, ecommerce, and web service integration, our expert developers can provide exactly what you need. We build elegant and affordable custom solutions that make your business more effective, productive, and profitable. Contact us to discuss options for your situation.